Escape by Calvin Klein is expresses the perfect escape. To combat stress a woman needs to carve out space for herself, find herself and contemplate her life. Created to leave a long-lasting impression, Escape is composed of precious essences from all over the world. Its floral and fruity fragrance, with a hint of marine scent evokes the adventure that is each woman`s life. followed by a heart note of jasmine, peach, lily of the valley, rose, osmanthus, and carnation. The end note is composed of sandalwood, musk and vetiver. 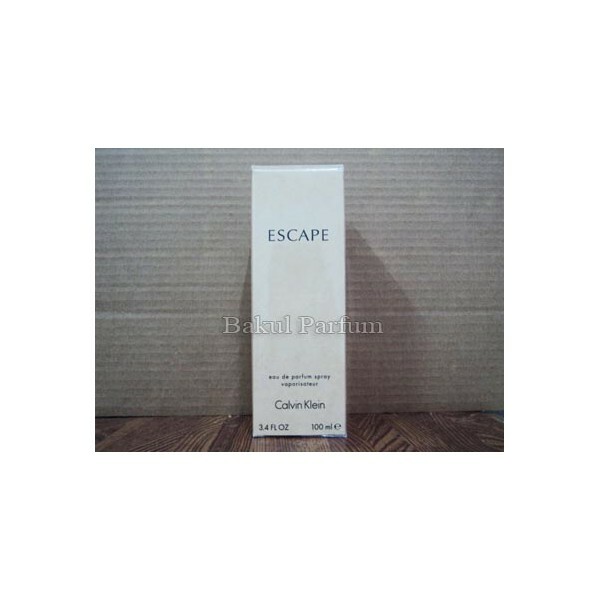 Beli parfum original Calvin Klein Escape for Women sekarang, harga termurah di Indonesia!! Nikmati promo dan penawaran eklusif parfum orignal Calvin Klein hanya di bakul parfum.